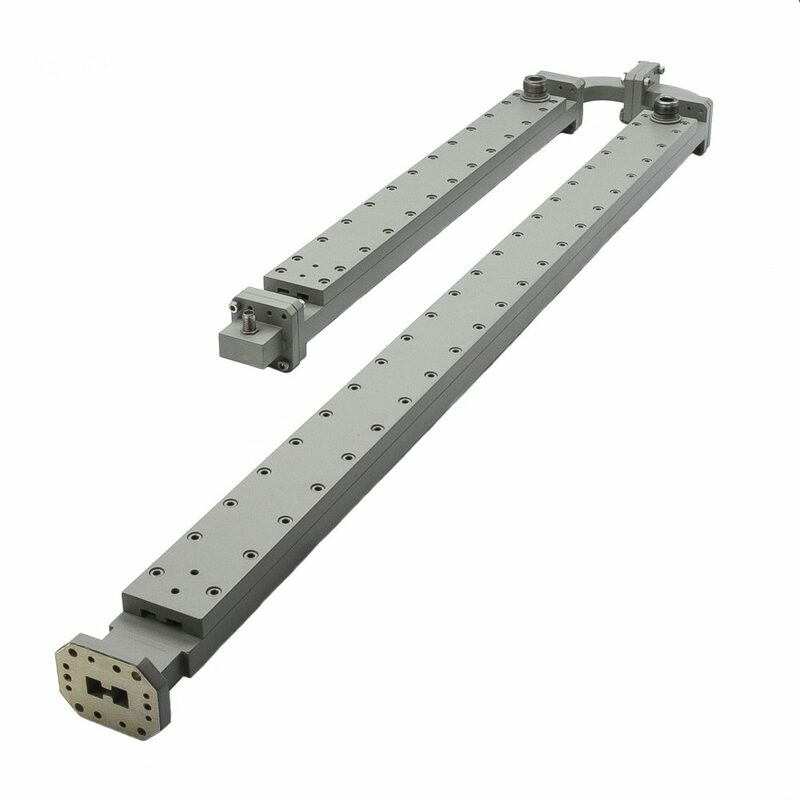 M.E.C.’s reflectometer test sets reduce set-up time while facilitating state-of-the-art resolution broadband return and in­sertion loss measurements on double-ridge waveguide and coaxial components. Coaxial input is provided via a broad­band, low VSWR waveguide-to-coaxial adapter for connection to a sweep signal source. This is followed by a low loss broadband absorption filter which suppresses harmonic and spurious frequencies often found in sweep signal sources. Because of this high attenuation (typically 50 dB), fine grain is reduced over the full waveguide band, per­mitting insertion loss resolution in the order of 0.1 dB to be easily measured. A 20 dB leveling coupler is next included to supply a source of feedback for the sweep oscillator. 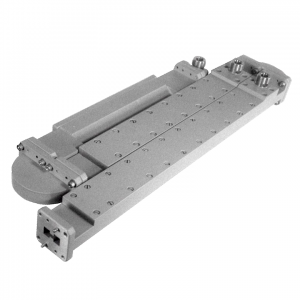 The test set is completed by a 10 dB high directivity broad­band reflectometer coupler with MEC-C1 flange (cover type with alternate tapped and clearance holes) to which the device under test is attached for return or insertion loss measurements. Assemblies are precision machined from aluminum with coaxial connectors of stainless steel. Finish is chromate conversion with gray epoxy enamel. System Directivity: 35 dB min. / 40 dB typ. (1) Order by model number. (2) Specify type N or SMA female or precision 7mm connector desired for each coaxial port. (3) Coaxial components can be measured by adding a broadband, low VSWR waveguide-to-coaxial adapter to the reflectometer coupler main line port. Specify R40A Series adapters.